The Digital:Transformation Sprint (DTS) is a five day process which focuses a team to solve the business’ most important question, biggest problem or key issue, and test new ideas, learning without the need to build and launch. 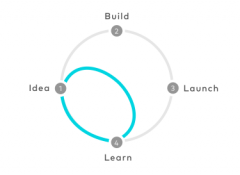 Rudman Consulting has adapted the original Design Sprint methodology developed by designers at Google Ventures to help companies progress through Digital Transformation programmes. A DTS involves a diverse team of 7 or less who work on organisational transformation. Organisational decision makers, experts from elsewhere in the company, and customers are invited to be involved at key points. Sprints pack business strategy, design thinking, innovation, creativity and behavioural science into one week and can take place over a working week, or over 3 consecutive weeks (2 days in week one, 2 days in week 2, 1 day in week 3). A Sprint day is a fun, challenging, and creative tightly packed schedule facilitated by highly experienced transformation facilitators, and runs 10-5pm with short breaks every 90 minutes and lunch at 1pm. No laptops or mobiles are allowed in the sessions (wait for a break!). Decision makers are invited to be there all week, but must be able to attend key sessions in the afternoon of days 1,3, and 5. Identify the key issue/biggest problem/most important question to focus upon. Start at the end by imagining and exploring potential solutions that achieve the long term goal of solving the issue(s). Map the customer touchpoints and operational challenges from beginning to end. Build “as-is” customer journey storyboards. Decide on the target focus for the rest of the DTS. User profiling and requirements gathering through expert input from customers and stakeholders – short interviews with external experts – your clients and suppliers – to see what they know. Generation of competing solution options through sketching out storyboard hypotheses. Critiquing the solution options through structured discussion, and selection of option, or blending parts of different options, to pursue. Drill down on the option selected, creating a Business Model Canvas for it and a step-by-step plan. Build “wireframe” prototype of the solution and develop “to-be” customer journey storyboards. Confirm Day 5’s schedule and decide how best to test the prototype with customers/suppliers/stakeholders. Test with customers/suppliers/stakeholders, gather feedback and learn from their reactions. Find out if your business is on the right track with a Digital Transformation project, programme, product, service or experience – or discover its flaws – before committing resources. Get more done faster to solve your organisation’s big problems, key issues, or important questions and test new ideas. Improve your team’s Digital Transformation capabilities with fun and creative processes that they can take away. – Meet with the company decision maker to identify the general areas of focus. – Provide a highly experienced facilitator and an artist to run the five day sprint. – Document and capture the exercises, discussions and outputs achieved each day through rich visual means. – Write-up the conclusions and next steps agreed. 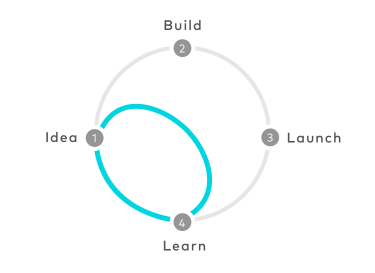 – Build a diverse team of 5-7 people who can commit to the duration of the sprint. – Provide a room for the five days with daylight, whiteboards and flip charts, wall space, markers, post-it notes, felt tip pens. – Provide healthy snacks and drinks and a light lunch. – Line up customers/suppliers/stakeholders for interviews on Day 1 and testing on Day 5.